SENDAI - Senichi Hoshino isn’t ready to give up the fight. Beating the Yomiuri Giants was his goal as a pitcher for the Chunichi Dragons, in his later years as the team’s manager and again as the skipper for the Hanshin Tigers. 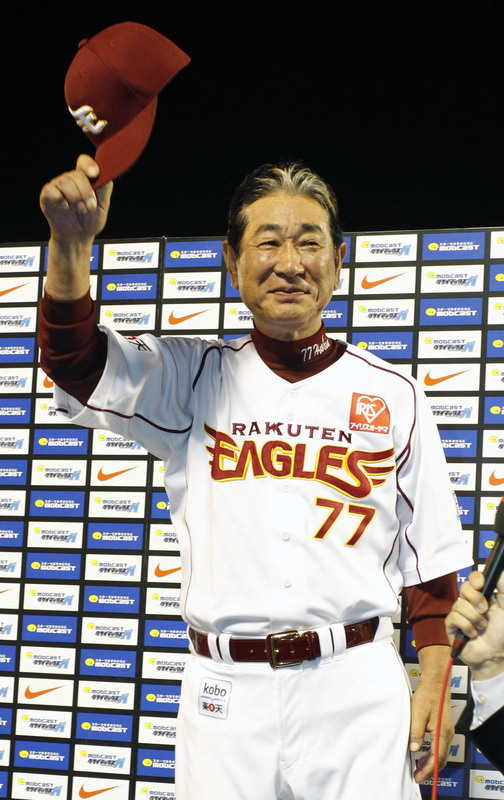 The Tohoku Rakuten Golden Eagles manager has made a career out of trying to cut the Giants down to size and get Japan’s glamor franchise a little dirty. That fire still burns, and it’s only fitting that as the veteran manager guides a Pacific League team into the Japan Series for the first time, and hoping to end his own long wait for a title, it’s the hated Giants who have risen up to stand in his way. This year’s Japan Series setup suits Hoshino perfectly, with him leading a Series debutant against a storied franchise that’s already won 22 championships — including two of the last four — and is looking for more. Hoshino presided over a two-hour practice session in Sendai after returning from the NPB draft in Tokyo, where the Eagles won the rights to coveted Toko Gakuen lefty Yuki Matsui. “Our players are doing the things it will take to win in the end,” Hoshino said. “Plus, this is the first Japan Series played at Kleenex (Stadium) in Sendai. Hoshino isn’t a stranger to such passionate statements. He was known for his outbursts, both vocal and otherwise, during much of his career as a player and later as a manager. A native of Kurashiki, Okayama Prefecture, Hoshino played college ball at Meiji University, where he starred as a pitcher. As the story goes, the Giants promised they would draft him in 1968, only to go after another player instead, igniting a fire in Hoshino. He signed with the Chunichi Dragons and debuted in 1969, embarking on a 14-year career during which he became known for, among other things, pitching well against the Giants, earning the moniker Kyojin Killer. Hoshino finished with a career record of 146-121 and won his only Sawamura Award in 1974. He helped the Dragons capture a pair of Central League pennants, but lost in the Japan Series both times. 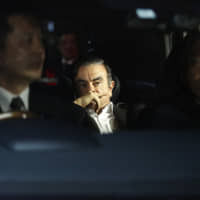 He is leading his third team in the Japan Series as a manager, having guided the Dragons to Central League titles in 1988 and 1999 (over two separate stints in charge) and getting the Hanshin Tigers to first place in 2003. He still couldn’t win the big one, however, with his teams falling in the title series all three times. Hoshino’s fourth shot at the title comes against Giants skipper Tatsunori Hara, who is in search of his fourth title as Yomiuri manager. 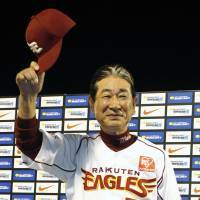 The Rakuten manager expressed deep respect for Hara, but is hoping to deny the Kyojin skipper another championship, and may have the team to do it. The Eagles’ top three starters, Masahiro Tanaka, Game 1 starter Takahiro Norimoto, and Manabu Mima are coming off a stellar showing during the Pacific League Climax Series Final Stage, where they combined for a pair of shutout wins, a hold and a save in 27 innings of one-run ball. 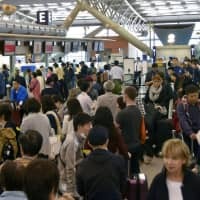 Rakuten also has Andruw Jones and Casey McGehee, a pair Hoshino has repeatedly credited for having a major role in the Eagles’ current success, spearheading an offense that finished third in Japan with 628 runs scored. 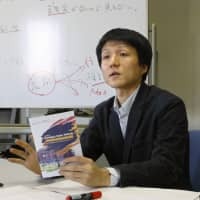 Hoshino looked relaxed during the news conference, though he wondered if his players were starting to feel any nerves with the Series around the corner. The Japan Series title Hoshino has chased on and off for over five decades as both a player and a manager is within reach. The only thing left standing in the way is the team he’s always delighted in trying to beat. “I didn’t see them play much (during the season), mostly when we faced them during interleague,” Hoshino said. “I watched their games against the Carp in the Climax Series, and I thought that they really played mistake-free baseball, which I expected. “I also observed manager Hara’s various tactics, which were mentioned in the newspapers. We’ll have to be careful about that. We have the manager’s meeting after this, so I’ll tell him not to do it,” Hoshino joked.